Deep suffering is common among Syrian refugee women. This is partially a result of changes in activities from those they were used to in Syria and new activities/roles akin to those considered as masculine roles, such as heads of households (Buecher & Aniyamuzaala, 2016; Oxfam & Abaad, 2013; United Nations High Commissioner for Refugees (UNHCR), 2014, 2015). These role changes are not limited to Syrian refugee women in Turkey, but are also experienced by Syrian refugee women in Jordan and Lebanon, with increasing numbers of women acting as heads of households (Keedi, Yaghi, & Barker, 2017). Additionally, separation of families across different cities and countries minimises support from family members. This situation brings added responsibilities without the necessary support that women need to make a successful transition (Care, 2016; Oxfam & Abaad, 2013). In 2013, Oxfam and Abaad conducted an assessment on changing the roles of refugees from Syria, including both Syrian and Palestinian refugees. The assessment included older women and men. Reports from the field highlighted that the women felt threatened due to the changes related to their traditional roles, and the feeling of loss of their femininity. The assessment also highlighted two further changes: (1) that women found themselves unable to provide the same quality of familial care due to lack of adequate facilities and infrastructure; and (2) they were forced to appeal to agencies for help (Oxfam & Abaad, 2013). Older women (and indeed older men) may, therefore, be suffering more than other age groups due to lack of resources, social support networks and less access to support services from organisations (Help Age International & Handicap International, 2014; UNHCR, 2015). Older women may feel more stress as they are unable to act as mothers and grandmothers due to family separation, and new responsibilities managing households. These issues (perception of threat, of losing elements of their femininity, of losing the role of grandmother/motherhood, feeling unsupported socially and lack of access to agencies) were all highlighted in the reports as very important, negative and stressful to older women. From the author’s own observations during working with women in Kilis, Turkey, several factors seem to affect the way older Syrian women are coping with these changes. As the author is part of Syrian community, it is important to highlight here the first major factor: culture. Syrian culture and gender roles vary according to a person’s city of origin or cultural sub-group. The women from this particular area shared common roles of mother, grandmother or housewife. The third factor is that Syrian women are part of a community that has suffered for years from political oppression. Further, simply being a woman in Syria can create additional pressure and incur oppression. In the light of these main points, the idea was to provide older women a space to allow them to discover their role changes and express related emotions and feelings through a process of therapeutic change. Group work was decided as the appropriate method for two reasons: (1) because these role changes happen on collective level; and (2) because women were expressing that a part of their suffering was related to social isolation. ‘Instead of being surrounded by family and support, I am here facing hardship of life … alone’ (Syrian women, aged approximately 60, living in Kilis). Therefore, the study this field report is based on aimed to discover the utility of a group programme to see whether it can be applied or developed further for older refugee women or women refugees in general, and to inform field workers. It was further decided to base the field work on providing creative arts activities to this target group. 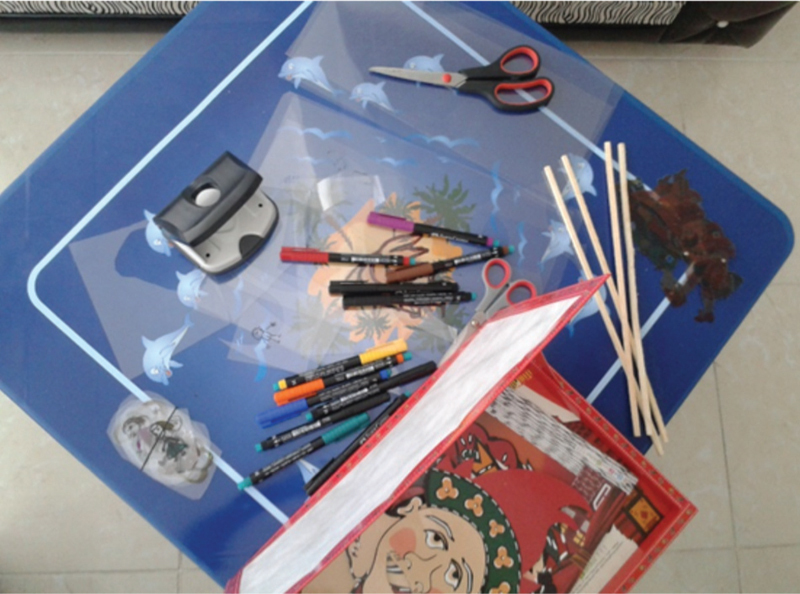 The work was exploratory in nature, to discover whether a psychosocial support group using a systematic approach to providing creative art activities can help older Syrian refugee women in exploring resilience and adversity-activated development (AAD) relating to experiencing major role changes in their lives. Group work can provide a supportive network, especially to older women (defined herein as aged 55 and older) who suffer more from isolation and tend to have less access to services and activities than younger women. In Kilis, at the time of this case study, humanitarian activities were mostly targeting children and younger adult women. 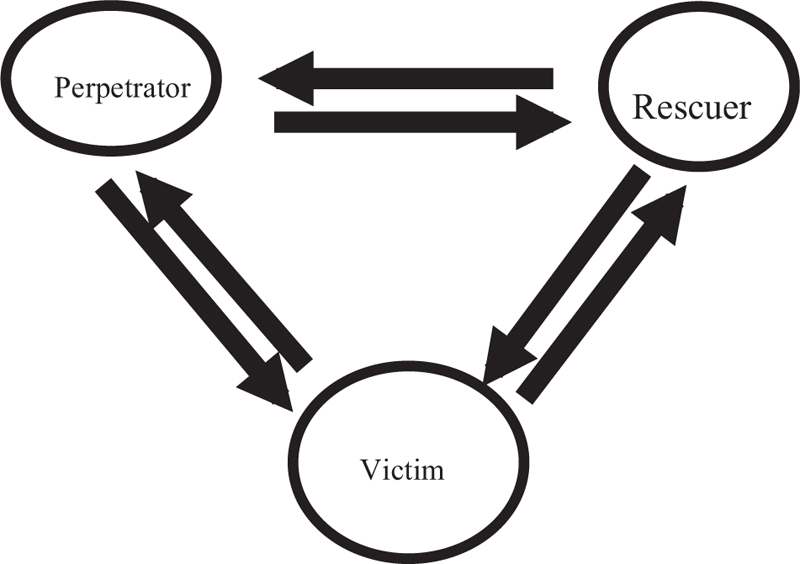 Interactions can be helpful to break down acquired roles, explained above, using the victim triangle. They can also help clients to explore AAD [AAD refers to ‘the spectrum of responses to adversity, offering a framework for the various combinations of trauma effects across different levels and perspectives (positive, negative and neutral)’ (Papadopoulos, 2007)], not only in terms of needing help from service providing agencies, but also to discover different aspects of changes that have affected their role when they became refugees. Importantly, interactions within a group may also help refugees to ‘get out of set roles and locate the temporary situation within the context of a longer time scale to reduce high risk of helplessness’ (Gkionakis & Papadopoulos, 2017, pp. 99–100). Some studies on refugee women provide different recommendations to improve role transition. One such study recommends organising ‘recreational and art-related activities depicting the perceptions and challenges of gender roles’ (Oxfam & Abaad, 2013, p. 16), and that art and drama therapy may facilitate ‘processes to achieve psychological growth and change’ (Emunah, 1994, p. 3). The use of expressive art therapeutic tools can help people to act as a whole, instead of only using spoken language, as occurs in classical therapeutic tools. Additionally, drama and art tools can help in distancing ones’ self and facilitate expression, as Oscar Wilde said; ‘man is least himself when he talks as his own person, give him a mask and he will tell the truth’ (Emunah, 1994, p. 7). When a refugee is already hiding their suffering behind psychosomatic symptoms, as is usual with people who have faced traumatic events (Van der Kolk, 2015), and as the author has experienced with Syrian refugees in Kilis, it will be much harder to express suffering through words. Using expressive art tools can facilitate the process and give suffering a voice. ‘We seek to create a form − a story, a song, a movement, an artistic creation to hold and express our personal experience, emotional expression and deepest learning’ (Atkins & Williams, 2007, p. 35). Further, this can then occur in a safe way and within an enjoyable environment; ‘the deepest currents of images, feeling and meaning can be explored tangibly and in symbolic ways. Through expressive arts, we provide this essential play space so that fragmented parts can be recovered’ (Halprin, 2003, p. 178). Acting and using art may be considered by patients as less risky than expressing ones’ self in real life (Liebmann, 2006) and presents an opportunity for self-expression (Atkins & Williams, 2007). Group oriented drama therapy particularly focuses on group processes and group interactions (Emunah, 1994) and enables participants to experience others’ lives and difficulties, while feeling safe (Liebmann, 2006, p. 73), which can all contribute to self-healing among refugees (Papadopoulos, 2002). Group communication during drama therapy can be enhanced by structured and systematic rules for interacting. One such example is a ‘complex circle’, which was created by Schininà (2004) for use in drama therapy with communities in conflict settings. 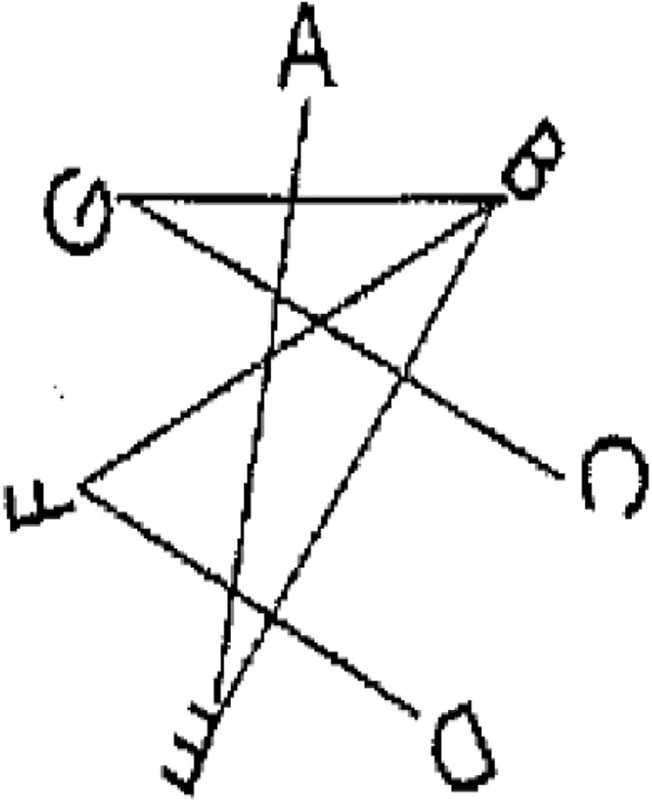 It uses a circle instead of a triangle to emphasise equality in interactions (Tucci, 2013). This allows participants in the group to keep their differences and dialogue on an equal level, and gradually brings them together using games and activities to form a circle that creates pathways of interaction starting from one’s self and finally ending with multiple paths of interactions between group members. This facilitates a circle of communication, as shown in [Figure 2] (Schininà, 2004). This case study explores the use of ‘Theatre of the Oppressed’ (ToO) as an inlet to therapeutic change. ToO is theatre, in which all people involved are actors, including the spectators, or ‘spect-actors’ (Boal, 2002, p. 15). It has three main methods: invisible theatre, forum theatre and image theatre. This case study used image theatre to reach therapeutic goals. According to Boal, image theatre allows participants to express themselves and uncover truths, without using words. The participants are engaged in making images that represent problems or aspects of their lives, and these images can be created in different ways, for example, using one’s body or by using other participants’ bodies, or by creating images using art materials (Boal, 2002), as was the case in this study. Both drama therapy and ToO provide tools of expression and enables processing their lives on cognitive, emotional, social and physical levels. More specifically, this case study used materials from one of the most well-known puppetry shows called ‘Karagöz and Hacivat’. This show and its characters were originally used during the Ottoman Empire and the early Turkish republic in coffee houses to criticise political topics (Ozturk, 2006). Karagöz was an oppressed character who made fun of the power of society and the social constraints that framed normal life at the time. This method is somehow metaphoric, enabling vulnerable or oppressed groups to express themselves using same tools that have been used to express and criticise political oppression for centuries. The participants of the creative arts activity group were five Syrian refugee women, living in northern Turkey outside of a camp setting. They were aged between 55–65 years old, were married and grandmothers, but separated from their extended families and living with their husbands only. They were chosen among women who had completed individual therapy, but needed more support regarding issues of social role change. Due to Ramadan and the personal situation of one of the women, only three women attended the sessions. This applied case study used creative art activities and a systematic approach using the framework of the ‘complex circle’ to help older Syrian refugee women explore the changes in roles and related AAD. To this end, a range of different tools were used during the sessions. The complex circle was used to help participants interact with each other in the group and to ensure each participant used her own voice and expressed her own experience. The sessions followed the broad structure of contact, contract, warm up, main activity, cool down and feedback (G. Schininà, Personal communication, June 17, 2017). There were five sessions in total, each session between 90–100 min long, twice a week, and led by one facilitator (the author). The main activities during the sessions were built on a game taken from the ToO approach called ‘What is the story?’ (L. Opdebeek, Personal communication, April 14, 2017), using a shadow theatre technique. Participants made images using art tools and selected puppets that represented parts of their story. They told their stories with characters that they designed, using their own voice, and using puppets they selected to give life to their story. In this way, the structured sessions (outlined in detail below) used several tools or approaches for storytelling, including personal storytelling methods, which means that ‘one tells his/her own story, but using third person instead to increase the distance and facilitate the process of disclosure and consciousness of life events and scripts’ (Emunah, 1994, p. 235). One major adaptation to the original plan for the sessions was to remove the movement and using the body in theatre elements. The participants had refused this element of the sessions because they considered it culturally inappropriate for women of their age and because they reported health and mobility problems that prevented them from being physically active enough to participate in movement theatre activities. This limitation was the main reason shadow theatre puppetry was used instead of mainstream theatre techniques. Telling the personal story: after greeting the participants, the contact was made through sitting in a circle and one by one explaining in one word their feelings, followed by work in pairs (the facilitator participated this game) and asking each other’s a variety of questions (such as: such as the story of your name, who named you, and the meaning of the name) then each one introduced her pair to the group. Then the facilitator made a brief introduction about the group. This was followed by the group being invited to create a group contract (what are the things needed in the group to feel comfortable and safe). The warm up was about sharing childhood stories, then the main exercise was to share personal stories related to life and role changes, and how conflict and fleeing to Turkey affected them. The cool down invited them to share one wish they had at that moment. Then a pre-assessment was conducted, and participants were asked to share how they felt about the day as feedback [[Figure 3] and [Figure 4]. The puppet shadow theatre and stories of the past were shared: the contact was introducing the puppets, then participants were asked to play with them and talk about their feelings now (through the puppets). A small reminder was given about the group contract, and then the warm up started by reminding the facilitator of the childhood stories they had shared in the previous session. 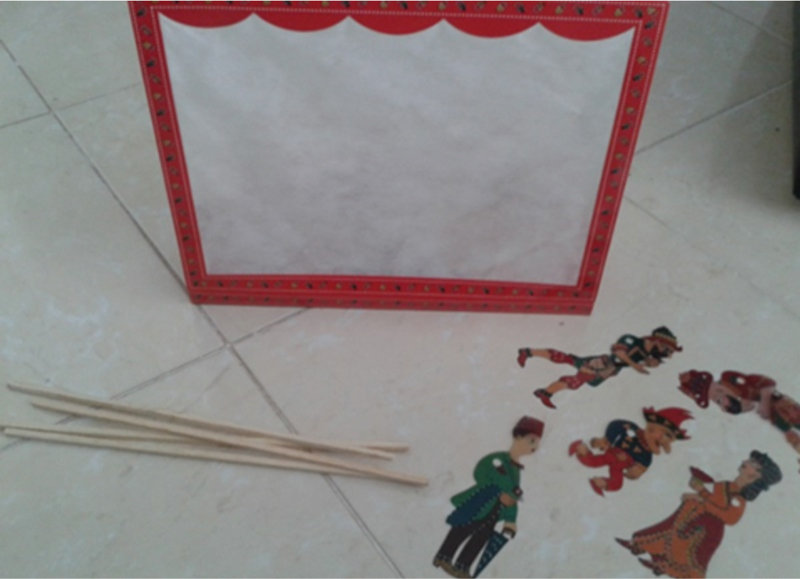 After choosing a story, participants decided which character puppets would be used, and then created the story as four silent images represented as shadow theatre. One sentence from the participants, who is acting with the puppets, was added to each character at the end of the images talk. The main exercise began by reminding the group about the previous sessions’ discussion about roles in the past and the present, then participants were encouraged to share their own stories about the past and their roles. They were then asked to think about one specific day to represent the past and to divide it into (3–5) silent images, as had been performed in the warm up. Finally, they were asked what characters these images included. As a cool down, participants were asked to draw the characters and prepare them for acting. Feedback included each of them sharing one thing they felt they needed to acknowledge and share it with the group. Act the past and play with voice: the contact started by using puppets behind the shadow theatre and asking other participants how they are and how they feel today. Then a small reminder about the group contract, and warm up through the puppet giving a different way of speaking. Each participant needed to produce four different tones (for each puppet) and say hi and how are you in these tones. The main exercise occurred after participants finished working on the characters, when each participant was asked to share their images in a mini shadow theatre as silent, separated images. After that, they were asked to add one word or sentence to each character and to add movement to the characters. The other participants were asked to reflect on the story. Each participant shared their story about the past. As a cool down, participants were asked to share their using storytelling methods through telling their stories as if they were the story of a third person. Feedback was to share feelings about the day using the puppet they created [Figure 5]. Sharing stories of today: the contact was to ask each participant in the circle to use the puppets and to change voice tones in a way suitable to express their mood, and share how they felt that day. A reminder was given about the group contract, and then warm up included each participant using the four puppets to produce different voice tones for each puppet, and to add a different sentence to speak according to the character’s personality. The main exercise included each participant being invited to share their stories about the present, changes, roles, war and life. After that, the facilitator asked them to think about a day they thought represented the present and how it could be represented in 3–5 images, and about the characters in the images. The cool down was to create the character for the present play. Feedback was conducted in a circle with each participant saying how they felt about the session, and then to share one new thing about conflict and fleeing. Acting the present and closure ritual: the contact began with each participant in the circle sharing how they felt that day. A reminder about the group contract was given, then a warm up with each participant choosing one character from the puppets. They were given 2 min to think about the character of the puppet, and then to introduce the puppet to the group. The main exercise consisted of each participant asked to share their images about the present in a mini shadow theatre as silent, separated images and asked to add one word or sentence to each character. 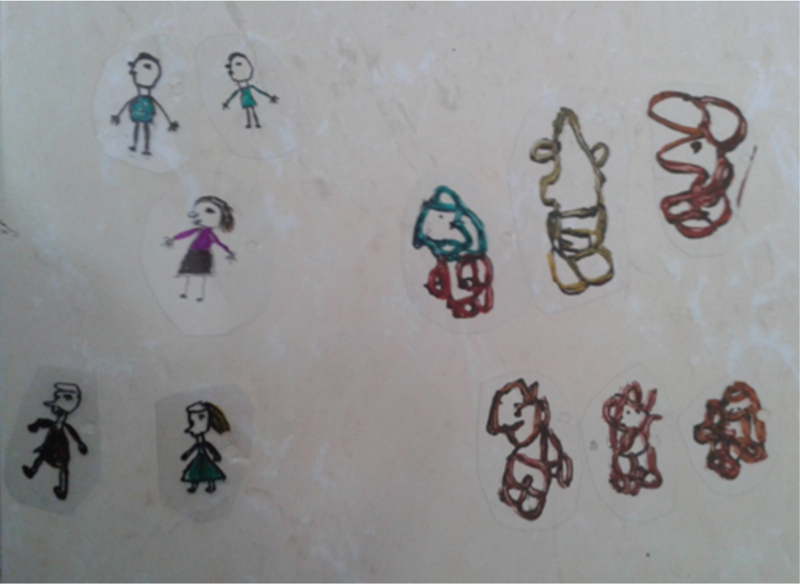 This was followed by adding movement to the characters, and the other participants were asked to reflect on the story. The present play was closed with each one sharing something she thought had changed in a negative way and one thing in positive way. As a cool down, participants were invited to share their stories about one specific day in the present through storytelling, using the third person. Then the post-assessment was conducted, followed by a closure ritual in which each woman was asked to draw a time line and divide it into past and future. She then used a colour that represented herself and located herself on the timeline where she thought she was, that is whether she felt herself living in the past or the present. To evaluate the changes that occurred, AAD was used as an assessment tool. According to Papadopoulos, the AAD grid can be defined as: ‘a useful framework, a template to grasp the complexity, uniqueness and totality of the responses to adversity that, can enable one to focus better on more than negative responses’ (Papadopoulos, 2007, p. 304). Within the AAD, negative, neutral and positive outcomes of adversity and trauma are recorded qualitatively. The pre- and post-assessment used the simplified version of Papadopoulos’ grid of outcomes (Papadopoulos, 2007) [Table 1], which was also used for needs assessment surveys in the Yola refugee camp in Nigeria in 2015 by International Organization for Migration (2015). As in the Yola needs assessment, this research used the AAD grid of outcomes to analyse the emotions and factors that related to changing roles of women after the conflict in Syria. This assessment consists of grouping qualitative responses from participants into themes for analysis. These included suffering, which referred to what participant stated as a negative result of what had happened or increased after conflict in Syria, and related to their changing gender roles. This was divided into three levels (individual, family and community), so participants could categorise each change they labelled as suffering into personal level (individual), family (if it was a negative change related to their role, but which affected the family as whole) and community level (the negative results that they thought affected the community). On the other side, participants stated which changes they considered as positive ones (resilience/response) using the same levels (individual, family, community). As in the Yola needs assessment in 2015, the grid of outcomes had to be slightly adapted from the original version. The two categories of resilience and response were merged together and any negative qualitative feedback from participants was labelled ‘suffering’, to make it clearer for participants and more culturally appropriate. The assessment was made through group discussion and coding was effected for the group, as a whole. Participants were asked two open questions and their answers were registered and coded according to the AAD grid: How did the role of women change in your family and community after conflict? How did your role change? While women were sharing their stories, there was often an atmosphere of sadness in the room. The three of them were remembering and describing what they called ‘best heaven and best days’. Using the ToO technique, older women were creating their own oppressed characters which were acting in the manner of the well known puppet show characters Karagöz and Hacivat. They were telling their own stories about oppression and then thinking about possible changes that could be made, giving their stories a voice, character and a chance for the change. The small group of women were from different economic and social backgrounds, but they shared that they were like queens in their houses and used to their needs provided by their husbands. All of them were longing for the family events and memories they shared from before the conflict. All of them agreed that they had a full, daily schedule with housework and social interaction in Syria and that they struggle to integrate into the host community. There was a fast connection between them from the first minute of session one, as they were prepared for the sessions to start and had some pre-conflict experiences in common. The pre-assessment happened during the first session on 2017, June 1 and the post-assessment on 2017, June 13. By comparing the grids of outcomes from pre- and post-assessments, it was clear that in the post-assessment that participants were more able to realise the positive changes that had happened on a community level and share them in the group. They were also more able to see a wider range of results, instead of focusing only on negative results. For example, in the pre-assessment, women were not able to mention any positive results that happened on either family or community levels. They were focusing on the deep loneliness they felt on an individual level. As one woman expressed it; ‘if I were in Syria, I could be able to knock at my neighbour’s house and meet or just go out to one of my sons or daughters’ house. But now I am here in Kilis, and each one of them is in a different country.’ (cry). One of the women was seeing a positive aspect to the changes in her life, and while she was trying to express this, the other two women were resisting and focusing more on how much this change was causing them pain and suffering. The one woman expressed; ‘I feel more free, I do not have to wait for my children or husband to make things done, I am doing them by myself’. In the pre-assessment, the women were focusing more on their victimhood: ‘that what war made to us, changed our life’. In the post-assessment, they were better able to see and accept that results can be wider that they thought, they began to talk more about the conflict and changes that happened after as an event that could have both positive, as well as negative, results. One mentioned that; ‘maybe if I was in Syria, I will not be able to go out alone as I am here, yes my husband is not happy about this, but it would be impossible if I was in the village’. During the post-assessment, they started to compare and talk about the positive change examples they had seen within the Palestinian community; ‘I remember very old stories about the Palestinian community after displacement and how women became more effective and provided more help to their families and community and I feel that [now,] Syrian women are facing the same’. Also, they were better able to express positive feelings related to the changes they are experiencing on individual and family levels. Feelings of sadness and nostalgia were expressed again and the separation of family was a focus, but the difference seemed to be more positive, for example in speaking about alternative communication technology that they are using to communicate with family and how they started to learn. One woman was laughing as she said; ‘I started using smart phone to communicate with my family, I have learned something new, it is not easy, but I can manage’. Another notable change was that women mentioned the feeling of helplessness in the pre-assessment, but in the post-assessment they did not mention hopelessness on an individual level. They just mentioned feeling tired. Another shift from negative to positive pre- to post-assessment was around the household. One woman said during the sessions; ‘I do not have to wait for my husband or anyone to do things for me, yes I am tired, but I have learned how to go by [do things on] my own’. Another woman commented on the new found space that the conflict and new situation has given to women; ‘one of the young girls in the family was providing help for her area by learning basic information about first aid, which was [considered a] strange [thing] before all this war started in their village’. During the pre-assessment women did not feel that on community level there is positive change, but at the post-assessment, they included positive feelings about a good future and hope, and they mentioned again that women are able to do new things now. ‘I am learning the language, attend some trainings and workshops and I feel that I can go out more and I do not have to wait for someone to do things for me. I am doing things’. On the family level, women mentioned in pre-assessment feeling lonely, which was coded as suffering, but again in the post-assessment, it was not mentioned. They mentioned that they are learning new technology to communicate with the family and described themselves as independent, which was coded as a positive result. In the post-assessment, women was talking more about the opportunity to build new networks with the host community; ‘I am trying to learn the language so I can communicate with woman next door, but even when we do not find words we use signs’. Overall, women in the post-assessment started to describe their experience and changing the roles in a more positive way. Despite mentioning negative feelings, negativity was no longer the only thing noticed by this group of older women. They were seeing that there are both positive and negative results of their experience, and that they are not the victims that they used to think they were. They were able to see that they have resources and can be function. There was also a change in the way that the idea of independence was discussed, and this is particularly telling of role change, because usually Syrian women avoid using the word ‘independence’ when referring to ones’ self and tend to limit its use to describe a man in a positive way (while women need to be dependent). The trigger for change in the group was when the women found the courage to express their emotions and concerns regarding the changes that they were living. Women were not sharing this outside of the group to peers or during individual therapy sessions. Using the drama/art therapy workshops and the ToO enabled these women to have a voice, express emotions freely, to support each other and to process what was happening all around them, instead of suppressing it and experiencing these changes in silence. Drawing, storytelling, acting and using different tones of voice helped them to communicate their ideas, needs and emotions in different ways. The practitioners who worked with the women felt that because these women were living the change in role collectively, a group process was more effective than one to one sessions. It seemed they enjoyed the sessions, as they were motivated to the level that even through it was the month of Ramadan, they came early to sessions and did not miss any. It seemed they were comfortable to express their story through art tools, to scream and say or do whatever they felt in a safe way. The puppets and art tools allowed them to distance themselves and feel less threatened within the group. This case study was with very small group of three people, which makes the information less reliable to apply to a wider population. Furthermore, with a larger group, the women may have benefitted more. In addition, the sessions were conducted over a limited time, 12 days, so more time would be needed to assess whether this programme resulted in any permanent changes in the group. Responding to each other’s feelings helped the women to accept them and feel less lonely. In this case, women did not use body movement theatre in the sessions. Perhaps with other groups it could be added to facilitate the therapeutic and creative process, for example, starting with storytelling, then objection through puppets and then role-play using the body in movement. Another potential limitation was that assessments were made within the group with the group facilitator, which may have biased the women to report more positive ideas about their roles because of pressure to conform to the group or please the facilitator. It also may have been more accurate to do the pre-assessment at the start of session one, rather than at the end. The qualitative tool used for evaluation helped to reflect on the process and assess the change in the perception of roles, but perhaps a quantitative measure of change could benefit the research. Using creative activities for older Syrian refugee women was a challenge in the sense of accepting a different way of working, but the distancing that the theatre tools offered helped them to better express themselves and understand their experience compared to talking and sharing stories one to one, or in a traditional group therapy setting. The sessions helped in exploring mutual interesting topics for participants, such as: communication technology tools and isolation from/contact with family, as well as other topics, not discussed in this field report, such as relationships with host community and the differences and similarities they see in their experience of role change, compared to other displacement experiences they heard about, such as from Palestinian women. Women enjoyed the creativity of using shadow theatre, and this created a vision for further activities with this group and with other groups, such as continuing with puppetry shadow theatre, but for different topics or further work on ToO techniques. At the end of the sessions, the group agreed to meet after 1 month and discuss the possibility of continuing the group and maybe extending it with new topics, and check if participants would like to show a play to audience (whether staff, relatives or another chosen audience). Atkins S., Williams L. D. (2007). Source book in expressive arts therapy. Northway Carolina: Parkway Publisher. Boal A. (2002). Games for actors and non-actors. USA and Canada: Routledge. Emunah R. (1994). Acting for real. London: Routledge. Gkionakis N., Papadopoulos R. K. (2017).A systemic approach to psychosocial support [PowerPoint slides]. Presentation was shared in a training and no link is available to share. Halprin D. (2003). The expressive body in art, life and therapy: Working with metaphor, movement and meaning. London: Jessicak Kingsly Publishers. International Organization for Migration (IOM). (2015). An assessment of Psychosocial Needs and Resources in Yola IDP Camps: North East Nigeria. Geneva: Author. Keedi A., Yaghi Z., Barker G. (2017). ‘We Can Never Go Back to How Things Were Before’: A qualitative study on war, masculinities, and gender relations with Lebanese and Syrian refugee men and women. Beirut, Lebanon: ABAAD and Washington, DC: Promundo. Liebmann M. (2006). Art therapy for groups: A handbook of themes, games and exercises. London: Routledge. Ozturk S. (2006). Karagöz co-opted: Turkish shadow theatre of the early republic (1923–1945). Asian Theatre Journal, 23(2), 292-341. Papadopoulos R. K. (2002). Refugees, home and trauma. In Papadopoulos R. K. (Ed. ), Therapeutic care for refugees: No place like home. London: Karnac Books (pp. 9–39). Van der Kolk B. (2015). The body keeps the score: Mind, brain and body in the transformation of trauma. New York: Penguin Books.